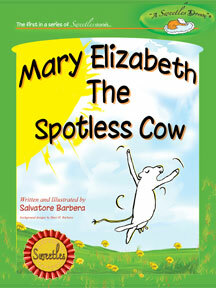 The story of Mary Elizabeth The Spotless Cow takes us on the journey she travels to figure out how to get the cows at a new farm to like and accept her. When you buy this book, 50% of net proceeds go to Phoenix Children’s Hospital Child Life Program to make a difference in the lives of children with critical and life threatening illnesses. Visit www.sweetles.com for details. 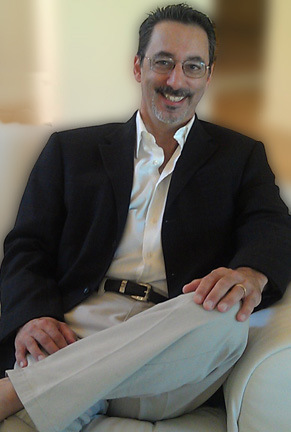 Pump Up Your Book and Sal Barbera are teaming up to give you a chance to win a $25 Amazon Gift Card! This giveaway runs November 4 – December 10, 2013. Winner will be contacted via email on December 12, 2013. One day a group of children walk many miles from their home and travel deep in the forest to a field and build a snowman. The children leave and the snowman waits for their return. But they never come back. Maybe there is something wrong with him. Then one day, a small rabbit bounces over to the snowman and they become friends. Winter turns to spring and the rabbit looks for his snowman friend, but he can’t find him. Why would his friend leave? Maybe there is something wrong with him. 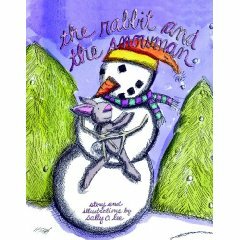 But when winter returns again to the field, the rabbit finds the snowman waiting to talk to him and their friendship is renewed. 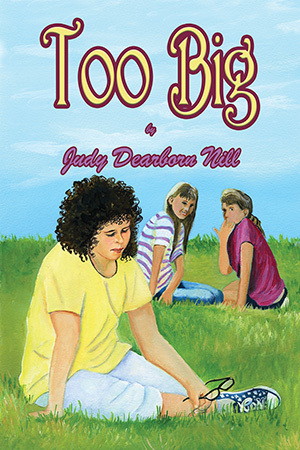 Young children and parents will adore this heartwarming story of everlasting friendship. As with Lee’s book, The Cake Thief, young readers learn valuable skills to help them interact with peers: acceptance, how to enjoy the little things in life and compassion. Lee’s illustrations in The Rabbit and The Snowman bring this story to life. Subtle, soft greens and purples mix with carrot orange and the black of coal to awe your child. My girls couldn’t stop talking about how pretty the pictures are. The one challenge I had was with the text. The selected font made it difficult to distinguish commas from periods and on the colored pages I found the letter “r” hard to identify. 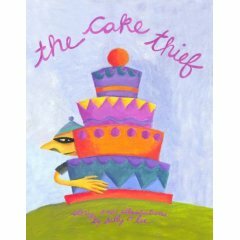 The Cake Thief by Sally O. Lee is a fun, easy to read and beautifully illustrated tale of Clarence, a young boy who likes to steal cakes. We don’t know why he doesn’t talk to anyone in town, but we know he goes through the neighborhood stealing cakes, until one day he gets an invitation to a party and Clarence must bring a cake of his own. This short picture book is filled with strikingly handsome illustrations rendered in oil paint on paper. Your youngster won’t soon forget Clarence’s small gray house with a purple door that sits on the top of a hill. Nor will she forget his plump black cat, Evelyn. Lee shares Clarence’s story with words that perfectly match her stunning illustrations. After reading this story to your child, there will be much difficulty in everyone picking their favorite parts because there is so much to love and enjoy. A sweet and yummy tale of belonging and friendship, The Cake Thief by Sally O. Lee will win your heart and become one of your child’s favorite books.